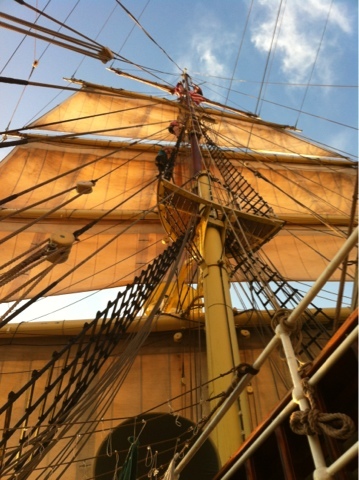 We started out with really nice weather, set some sails on day 2, had a swim call etc. 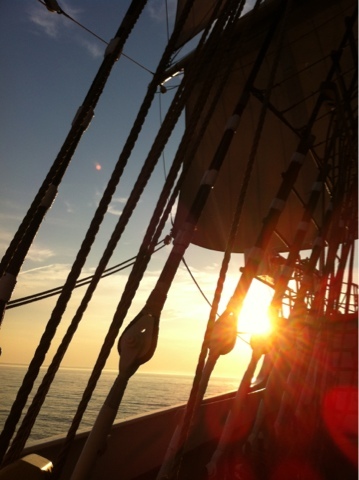 No pictures of this but we sailed through a squall that had us dousing sails asap, getting things set for high winds and an all hands call that eventually ended with "pieces of meat hanging around" being told to go below decks. 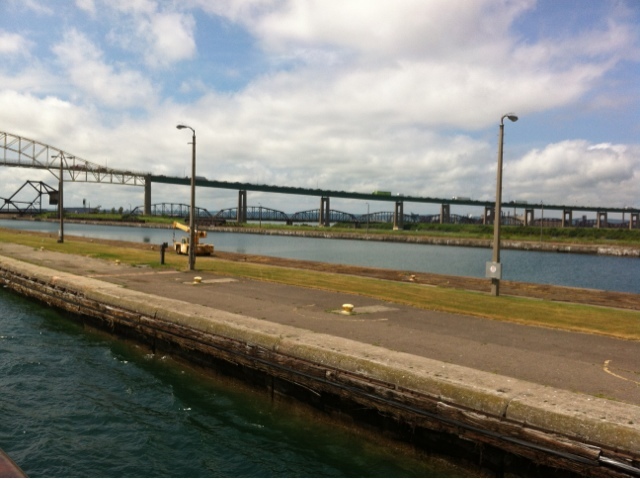 We sailed up Lake Huron, around some neat islands and through the locks in Sault Ste Marie. There were 4 side by side, pretty neat. Not at all envious of the card stopped for construction on the bridge! 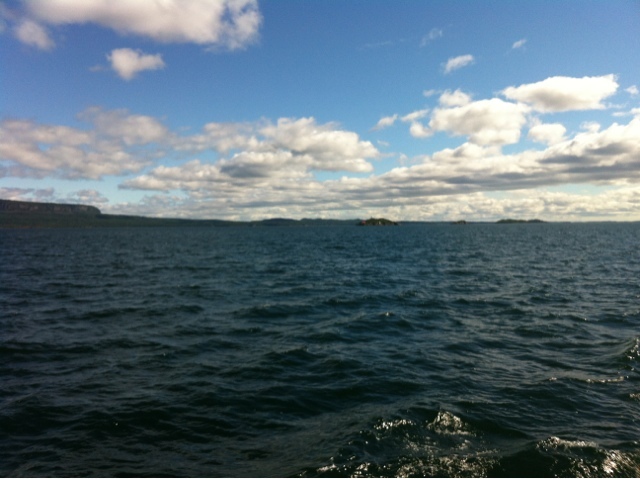 Lake Superior was beautiful and cold (as expected). One night when I got off watch at 8:00 it was 8 degrees celcius! 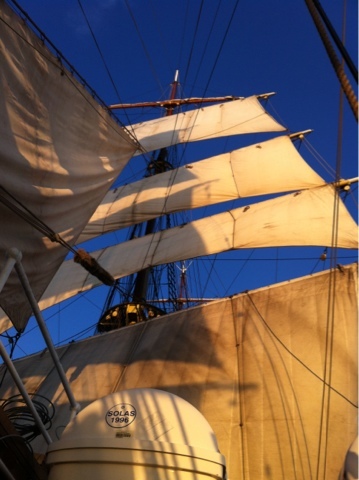 It was so nice having a six day sail. The next leg, to Duluth, will be short, 48 hours or so.